Let Joe help you with any of your needs in the Palm Harbor, Tarpon Springs, Clearwater, Largo, Pinellas Park, and the surrounding areas of Pinellas & Pasco County. Please take advantage of all this site has to offer, and contact me if you have any questions at all. Call Joseph today to discuss all of your real estate needs! 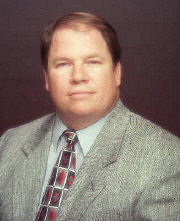 I have been a full time active REALTOR since 1997. I have completed the Internet Professional designation know as ePRO. I have also been serving on the MLS committee for over 9 years. Pinellas County Real Estate - Joe Bell builds his success and reputation on consistently providing a superior level of attentive caring service to all his clients, whatever their real estate needs. Whether you are buying or selling a home, Joe maintains the highest degree of competence, knowledge, and professionalism to offer exceptional real estate service for his valued clients. He is committed to Exceeding your Expectations! This page has been visited 1,480 times. The complete MLS information center.